The houses represent the fields of experience wherein the energies of the signs and planets operate. 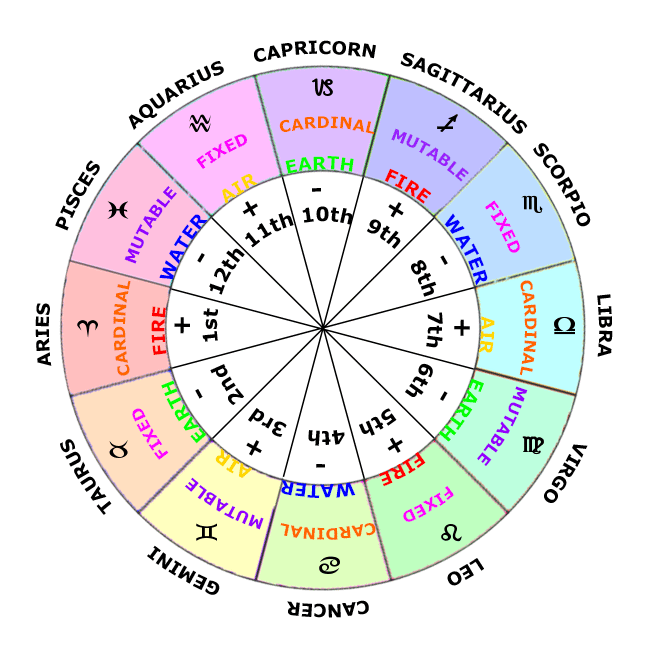 Rather than symbolizing just the outward experiences and environmental circumstances specified by most traditional astrology, the houses are also revealing of the inner state and of one's personal subjective experience and attitudes. By noting the planets' placements in the natal chart, an astrologer can tell which levels and areas of experience will be strongly emphasized in a person's life. The keyword system discussed on the following pages is meant to clarify interpretation and understanding primarily of the psychological and inner significance of the houses. It is an attempt to perceive the essential meanings of the fields of experience known as the “houses." If the essential meanings are understood, they can then be applied to and illuminate all the diverse activities and experiences traditionally symbolized by the houses. Emphasizing the type of house containing planets in a natal chart helps one to see the chart as a whole. One familiar way of defining the houses is to separate them into the classifications of angular, succedent, and cadent. These houses are associated with a self-activating quality and have an immediate impact on the structure of one's life. The keyword for the angular houses is ACTION. These houses are associated with individual desires and the areas of life we want to control and consolidate. The keyword for this type of house is SECURITY. These houses are areas where there is input, exchange, and distribution of thoughts and observations. The keyword for these houses is LEARNING. The progression of houses from angular through succedent and cadent and back to angular again symbolizes the flow of life experience: we act, we consolidate the results of our actions in order to gain security, we learn from what we have done and become aware of what remains to be done; and therefore, we act again. Thus, a person with a strong emphasis on one of these three types of houses by planetary placement invariably pours a lot of energy into and experiences many challenges related to action, security, or learning. The houses can also be divided into groups of three, depending upon the element of the signs associated with that group of houses. Key phrases and guidelines for understanding these groups are as follows. (Psychic Trinity,' "Trinity of Wealth," etc. are quite old terms, and are used here primarily as convenient labels.). These houses are associated with one's attitude toward life and the experience of being alive. They represent an out pouring of energy into the world and aspirations that motivate us to do so. The person with an emphasis on these houses lives in his or her enthusiasms, ideals, and dreams for the future. Faith and confidence (or the marked lack of it) and the need to see an effect on the world at large through one's initiatives dominate much of the person's life activity. The person experiences self most immediately through projecting dreams into the world and seeing them manifested as reality. Planets in the fire houses affect the individual's ATTITUDE TOWARD LIFE ITSELF and the person's entire sense of faith and confidence in self. The keyword that sums up the essential meaning of the fire houses is IDENTITY; for our sense of identity, our sense of being, determines our attitude toward life in general. These houses are associated with the level of experience wherein we try to satisfy our basic NEEDS in the practical world. 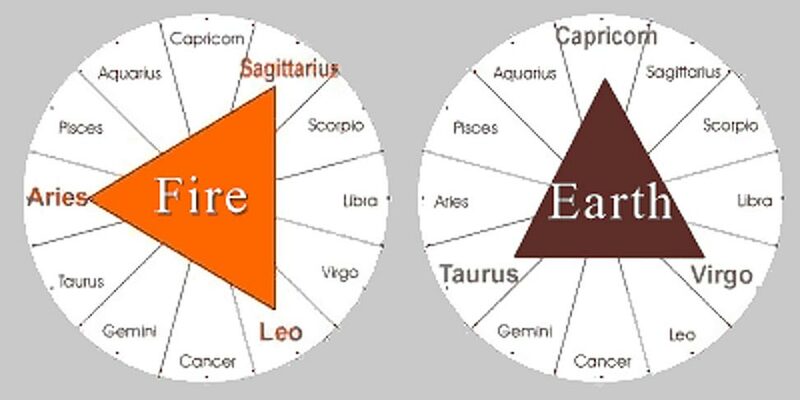 Planets in these houses indicate energies that can most easily be put to use in dealing with the physical world, and that can be developed as expertise in management of resources. The person with an emphasis on these houses lives energetically in the physical world, building, doing, achieving, acquiring, and defining his or her purpose in life by the status and security achieved. Those with a strong emphasis in the earth houses tend to want to settle into a niche in life, as they are searching for the place where they can be the most productive and most easily satisfy their practical needs. This person experiences self most immediately through work, through feeling useful, and through practical achievement. He or she wants to fulfill a calling or role in the great world outside. Planets in the earth houses affect the individual's attitudes toward vocation, career ambitions, and the capacity to produce effective results. The keyword for these houses is MATERIAL, for the earth houses deal chiefly with concerns of the material world. These houses are associated not only with social contacts and relationships of all types, but also with CONCEPTS. The person with an emphasis on these houses lives in the mind and in relationships. Concepts and the sharing of those concepts dominate much of the person's life activity. The person experiences self most immediately through a sense of mutual understanding with others and through discovering and expressing the reality and importance of specific ideas or theories. Planets in the air houses affect the individual's interests, associations, mode of verbal expression, and social life. The keywords for the air houses are SOCIAL and INTELLECTUAL. All of these houses deal with the past, with the conditioned responses that are now instinctual and operate through the emotions. Planets in these houses show what is happening on subconscious levels and indicate the process of gaming consciousness through the assimilation of the essence of the past, while simultaneously letting go of the useless memories and fears that hold us back. The person with an emphasis on these houses lives a great deal in the feelings and in his or her deeper YEARNINGS. The emotional and soul needs dominate much of the person's life activity and energy expenditure. 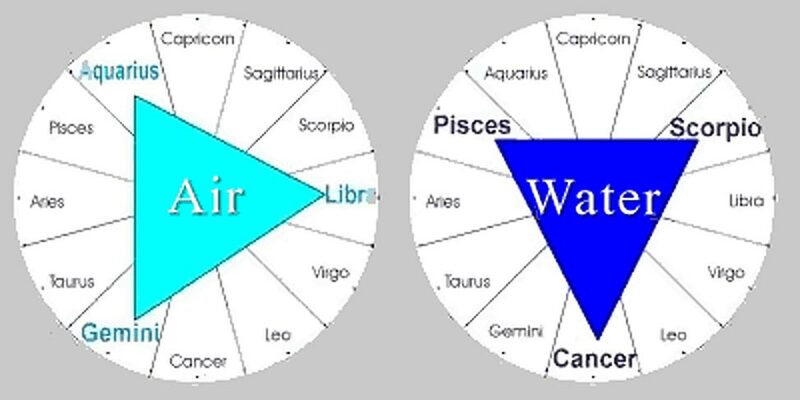 Planets in the water houses affect the individual's emotional predisposition, how he or she copes with fulfilling private needs and confronting obsessive feelings, and to what extent the person lives in a private way or in the inner life. The keywords for the water houses are EMOTIONAL and SOUL. Let's look at the side of you that resides in each of your twelve houses. 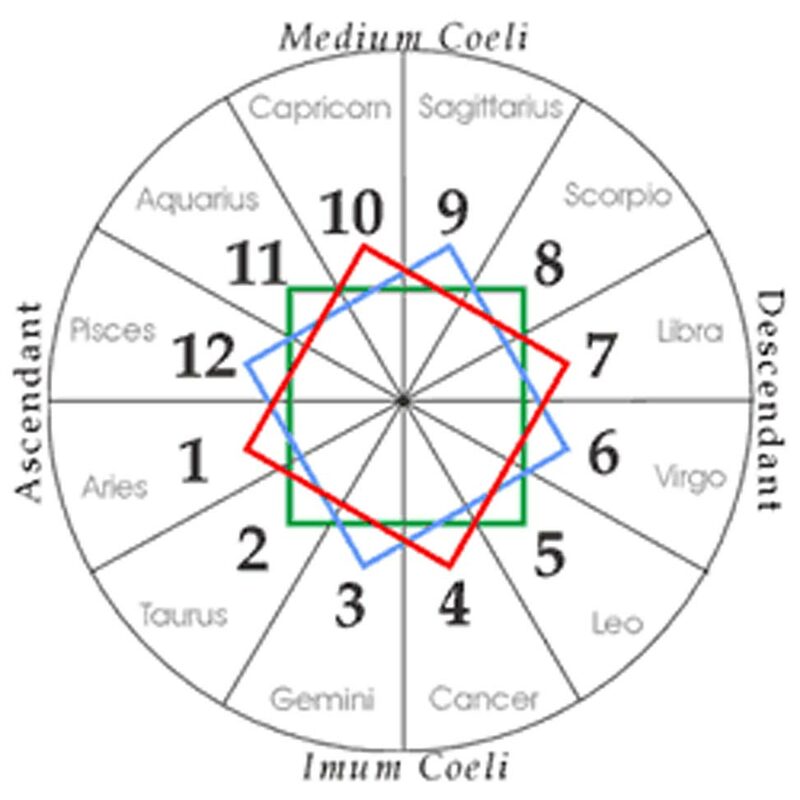 The first house of a chart has the sign that was ascending over the horizon at the moment you were born on its cusp. This sign is known as the Rising Sign, or Ascendant. The first house has to do with how we appear or the way we come across, thus our appearance and personality. This is the essential stuff that bubbles up in us spontaneously and that is obvious to others as our trademark or activity. It is what makes us each so personally different. This house rules our personal self and everything about us that draws a reaction from our surroundings or others. The second house is concerned with how we respond to or field whatever impulses or unique and personal qualities we manifest via our first house. This is how we hold or "have" things (possessions, material goods, money, and the like). The second house always refers to how we secure ourselves, the kind of response we get from life and those around us. The third house is concerned with explorations, investigations, and inquiry and research of all kinds. It also rules connections, communications, wires, tubes -- anything that we can get through with our body, mind, voice, letters, what-have-you. It is here that we explore and search for the limits of our life, whatever we are working with at the moment. A very mental house, concerned with finding, furthering, peering, and all manner of questioning. Traditionally rules short journeys, siblings. The fourth house is where we send down roots, find our limits, and generally secure ourselves. It is the end of any searching we might have done in the third house. Here we find or end our search, settle down, and manage to get in possession of the whole situation. This is our home and the base from which we can work, feel, and experience. This is the root of our experience, the core or thick of it. The fifth house has to do with awareness, emotion (to move out), and expression (to press out). Here there is always a growing sense of self-confidence and even a pride of ownership, since we begin to recognize and own our experience. We know that we have had or are having an experience. All forms of expression and offspring are connected to this house -- children, animals, creative expression, and so on. A sense of direction and ownership takes hold at this point in our experience. The sixth house has to do with salvaging and preserving what is good and healthy in our experience. Here we separate the wheat from the chaff. We begin to care for ourselves and our experience and thus health, nutrition. The idea here is that we are able to analyze our experience and have thoughts about what is pure and what is not. The sixth house is an attempt to save the heart of an experience, one that already by that attempt is beginning to pass or not cohere. The seventh house is the house of partnerships, relationships, social life, and all that carries us beyond our personal self into an awareness of other people, community, and the like. This includes spiritual awakening and the discovery that we are more than just our personality. Here we begin to respond to our personal needs (and those of others) for the first time. We can see what is going on and are committed to it; thus, marriage and yoga, or union, is indicated in this house. The eighth house, traditionally the house of death, is concerned with getting rid of excess parts of ourselves that we see we no longer need. Thus this house also covers initiation and any activities where we are transforming toward a more integral position, getting to the heart of things. The no-nonsense quality of the eighth house makes it good for business ventures since here we are stripping away the dross to reveal the truth or essence of the subject. The ninth house covers long journeys and religion (the longest journey of all). Here is what remains of the purification that takes place in the eighth house -- the seed, or essence, of an entire cycle of experience. Religion comes from a Latin word that means to bind back, and thus refers to all things that last or endure, such as the truth. Essential ideas, philosophy, and all that is the very heart of things belong here. The 10th house is a house of practical vision and clairvoyance, for here we can see clearly what is. Reputation and career are often connected to this house, since the areas where we can see with greatest clarity are those we most often can put to use to make a living. In summary, this house is where we have real vision and can see to do and work. Planets transiting this house may provide moments of insight and clear-seeing as well. The 11th house has to do with putting our visions and dreams to work. We have been on the mountain and had a vision (10th house). Here we take our vows never to forget what we have seen and to work hard to make these dreams into reality. Thus this house has always been connected with altruistic and humanitarian goals and trying to set them in motion. It is the house of friends and community, because when we are powered by a real insight or vision we share with all -- irrespective of differences. The 12th house is about all that we go through in order to make our dreams into reality and manifest them in the world around us. It covers what we are willing to put up with, the sacrifices we will make in order to bring across what is really important. This is connected to prisons, institutions, betrayal, self-undoing, and the like, because it is here that we must choose to take some possible abuse for the sake of the message we are carrying, or blow it all away with a negative reaction.